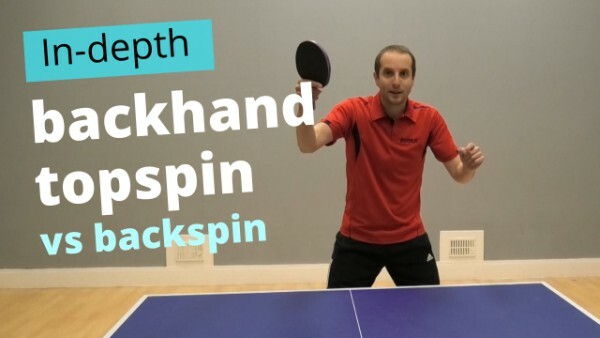 In this video I take an in-depth look at how to play a backhand topspin against a backspin ball. A backhand topspin will allow you to attack your opponents backspin serve, push or chop. In the video I show three different backhand topspin techniques – a basic method, a spin method and a speed method. I explain the pros and cons of each method and give my views on which method is best. Developing a good backhand topspin will help you raise your game to the next level. Try out my methods and see which works best for you. And thanks to Eli Baraty and Daniel Hearne-Potton for showing off their backhand topspin skills! 1:24 – Tom explains and demonstrates the basic backhand topspin method. 3:04 – Tom explains the spin backhand topspin method with demonstration from Eli Baraty. 7:08 – Tom explains the speed backhand topspin method with demonstration from Daniel Hearne-Potton. 10:50 – Tom discusses which backhand topspin method is best – basic, spin or speed? 13:05 – Tom talks about importance of experimentation and practise. excellent tips..thank you from Italy!